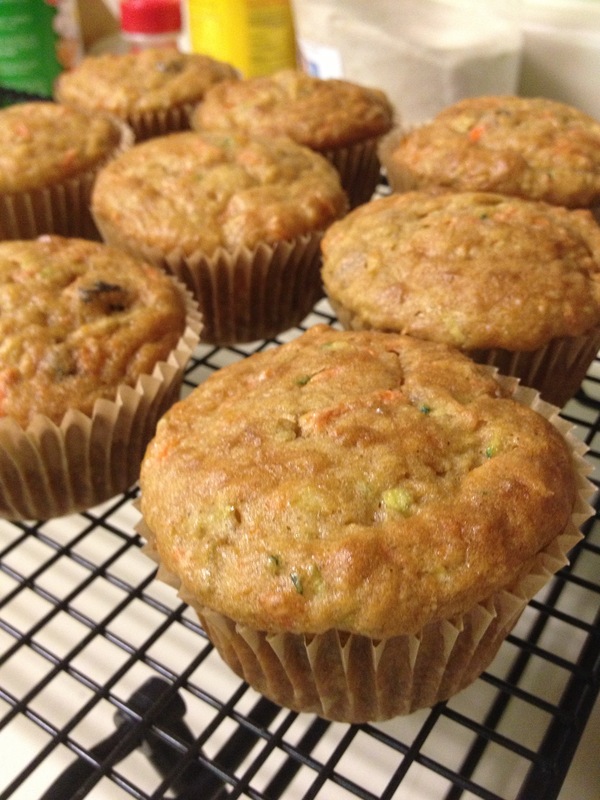 Grease muffin pan or use liners. In a large mixing bowl combine sugar, gluten-free flour blend, xanthan gum, cinnamon, baking soda, baking powder and salt. Use a large whisk to thoroughly combine. 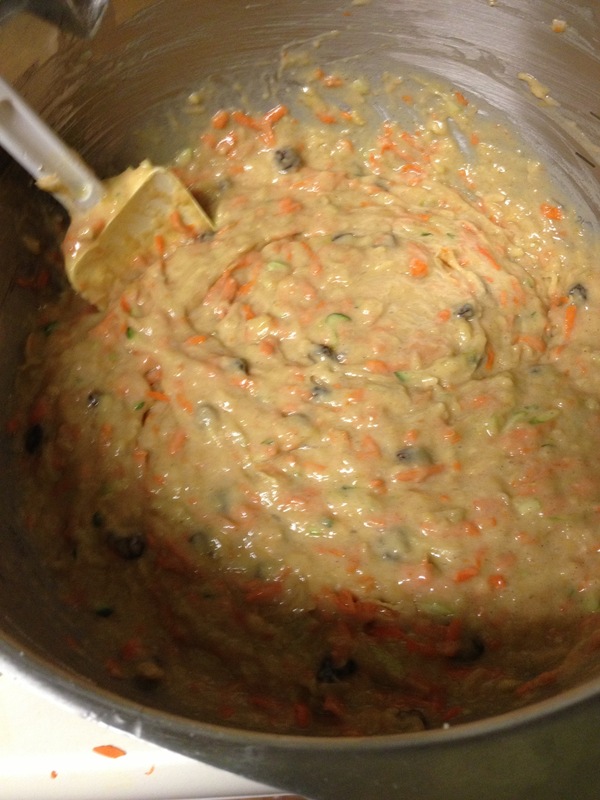 In a separate large bowl combine shredded carrots, pear, zucchini, pineapple and raisins. Add the fruit, vegetable, mixture to the dry ingredients followed by eggs, butter and vanilla. Beat the mixture to thoroughly combine ingredients. Batter will be thick and gloppy, see picture below. Fill muffin cups about 3/4 full. Bake in preheated oven for about 25 minutes, or until a toothpick inserted in the center comes out clean.